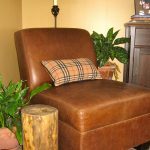 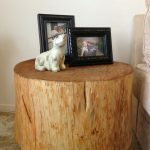 Home » Furniture » How to Make a Handmade Natural Tree Stump Side Table? 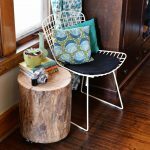 Furniture does not have to be expensive, right? 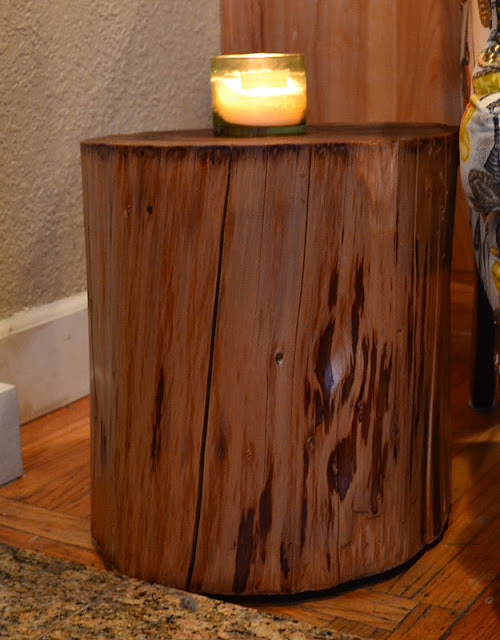 Even you can make your own simple and small furniture like side tables or coffee tables. 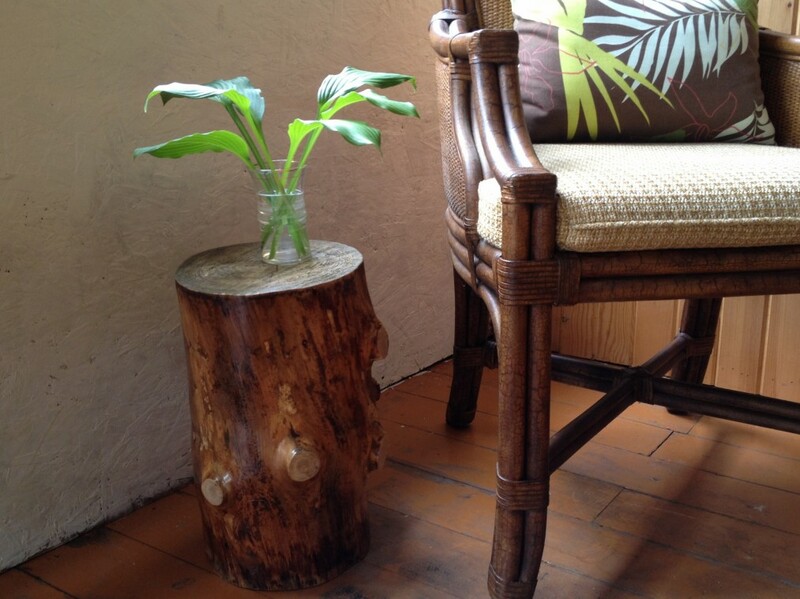 You can use natural tree stump or tree’s trunk as the main material of making those furniture items. 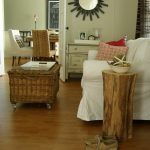 Branch and trunk of trees, now, have been a trend in home decor. 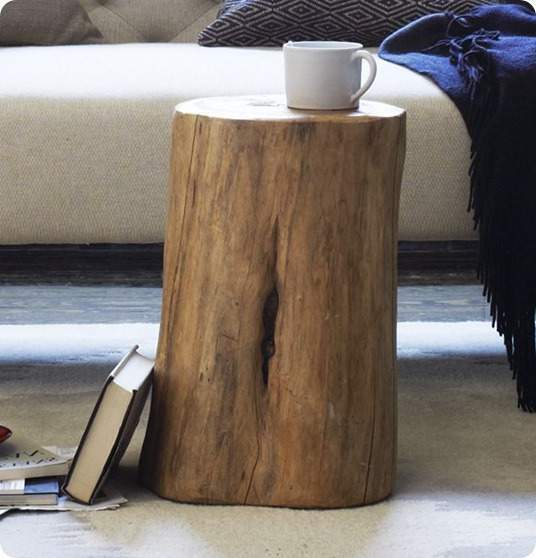 Natural tree stump side table is one of the furniture that is able to give rustic decor to your room. 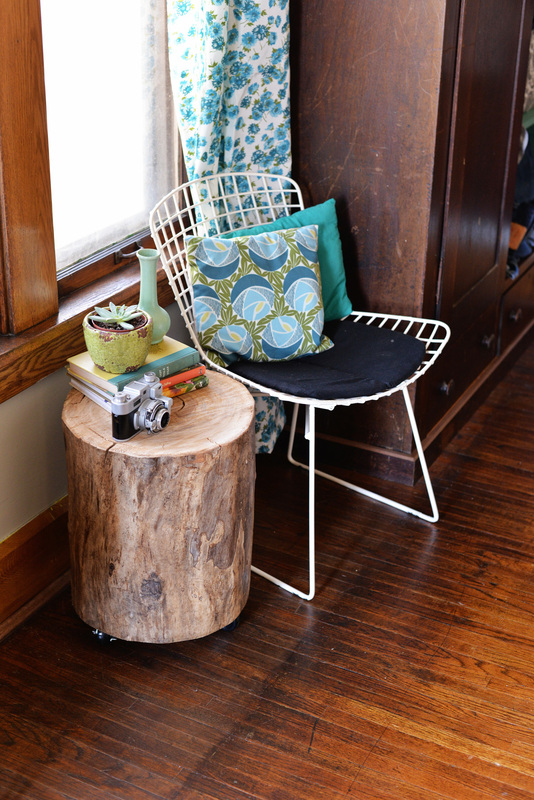 Just few materials you need to make a side table with wheels. 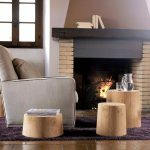 The main material that must be prepared is a log of natural tree stump side table in any size. 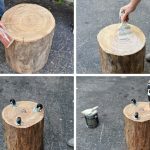 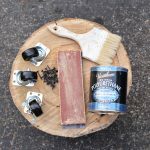 Then, other supplies of building a natural tree stump are: three swivel casters (one with a lock feature), some screws, sander/ sanding paper/ sanding block, drill, polyurethane in clear accent, and paint brush. The steps of making a natural tree stump side table are: first, prep the natural tree stump and cut the stump down based on the size you like. 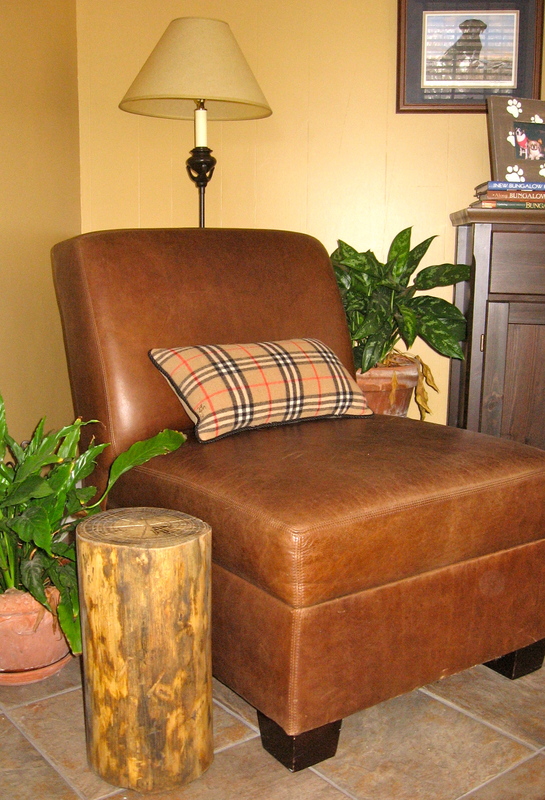 Clean the excess bark up if needed, or you may keep the excess bark as the natural accent to your side table. 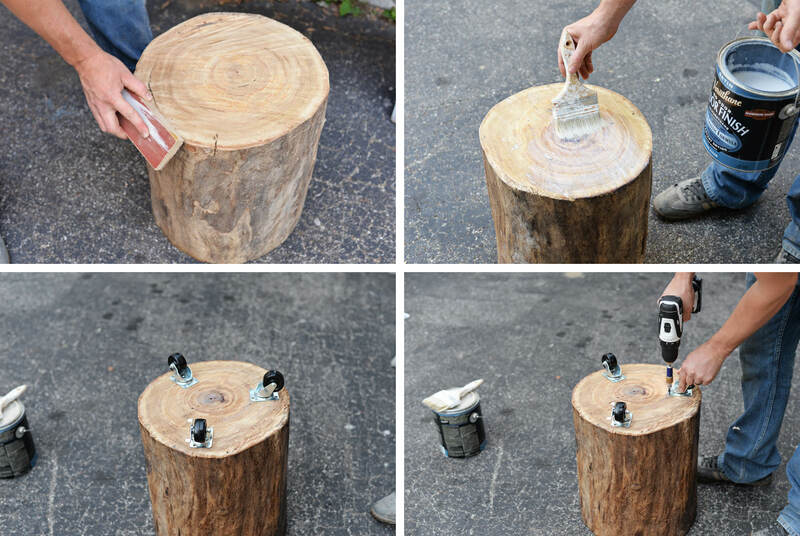 Second, color the tree stump as you want. 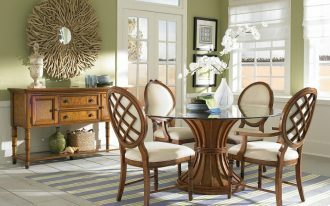 Be sure that you have given the best and proper color to create the balanced and harmonious look between the table and interior decor. 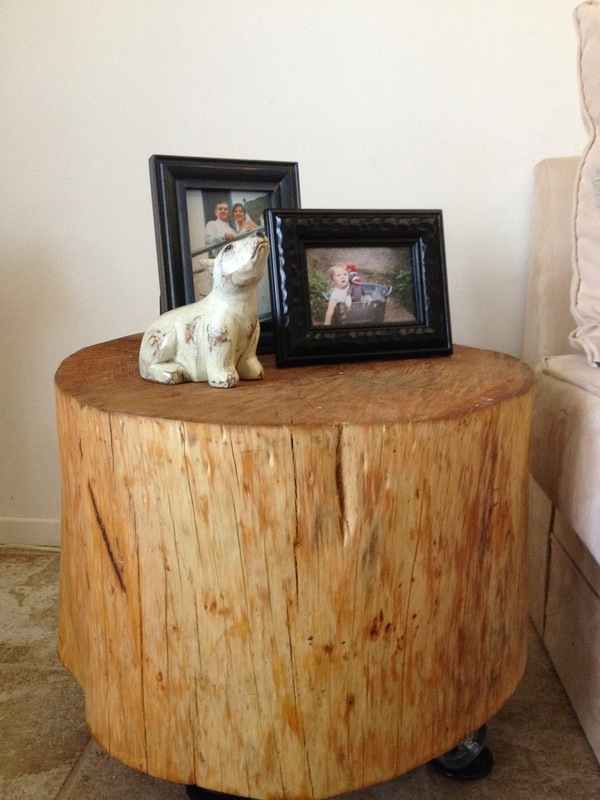 Third, use the clear polyurethane to cover the entire parts of natural tree stump for smooth finishing. 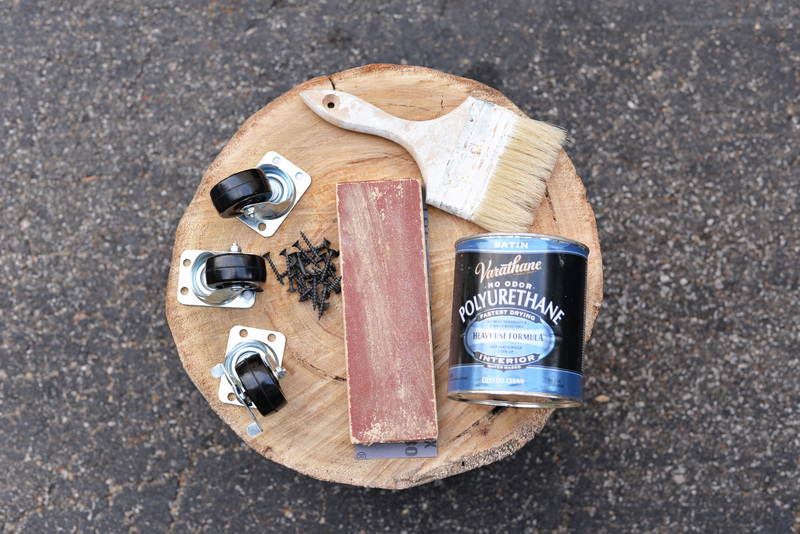 Then, let it dry. 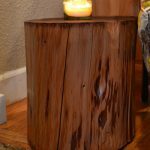 Fourth, flip over the stump (bottom is on top) then give mark and line up on the spots where you want to put the casters. 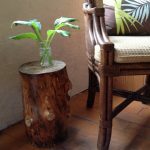 Make drill holes for casters if required. 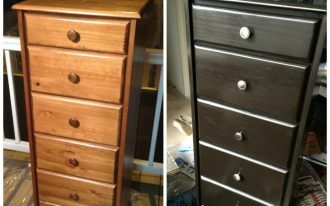 Fifth, give the screws on the casters’ place and make them tight each other. 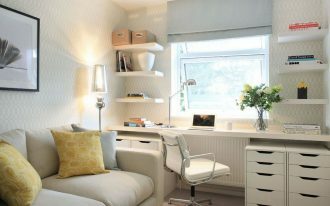 Your project is well finish. 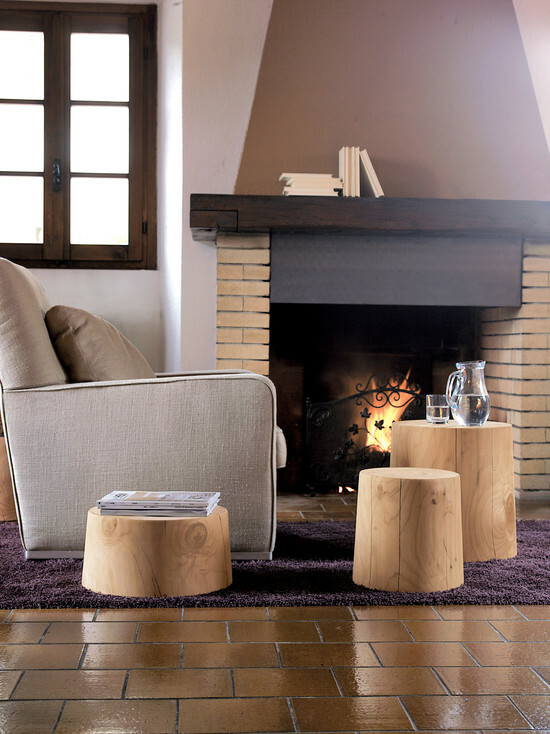 Only with several supplies, you have created a rustic side table instantly. 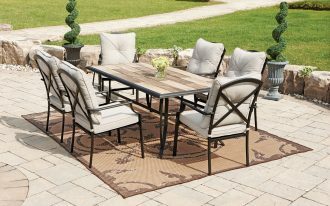 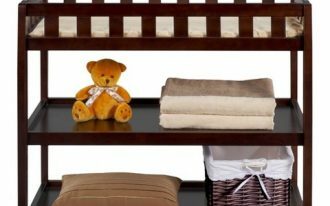 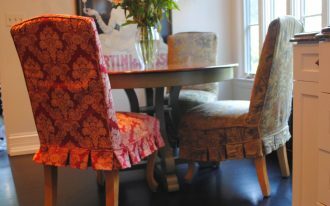 Put the table between a pair of chairs or beside your king bed furniture or sofa. 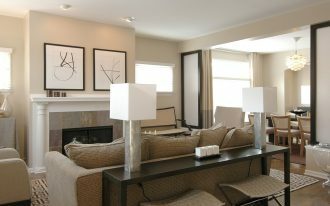 Garnish it with some accessories like decorative plant, small vase, and so on. 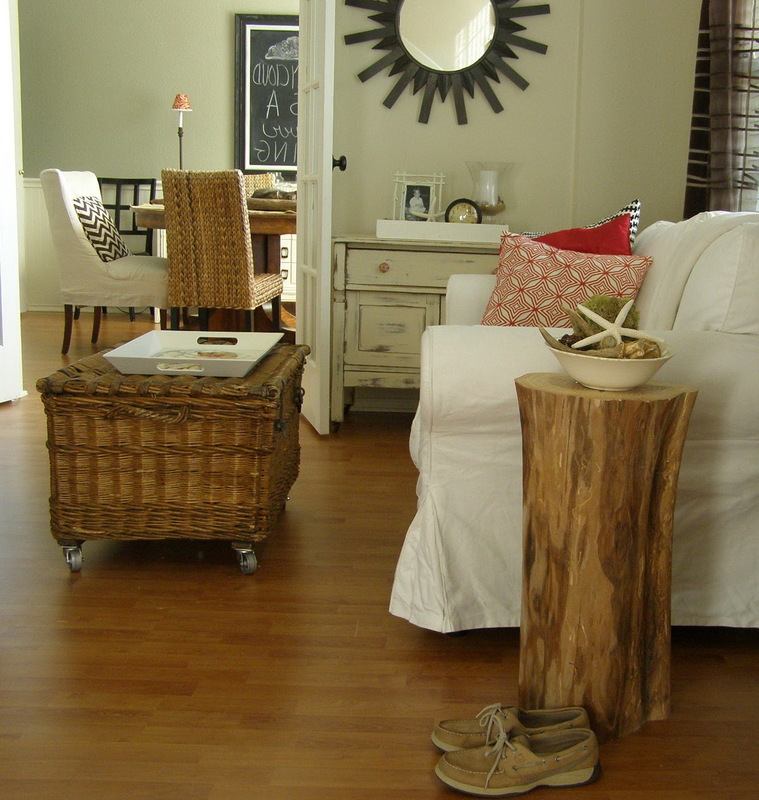 The casters or small furniture wheel are so useful for you to move the side table on another spot.